الرئيسية Islam - Why do western people have fears from Islam? 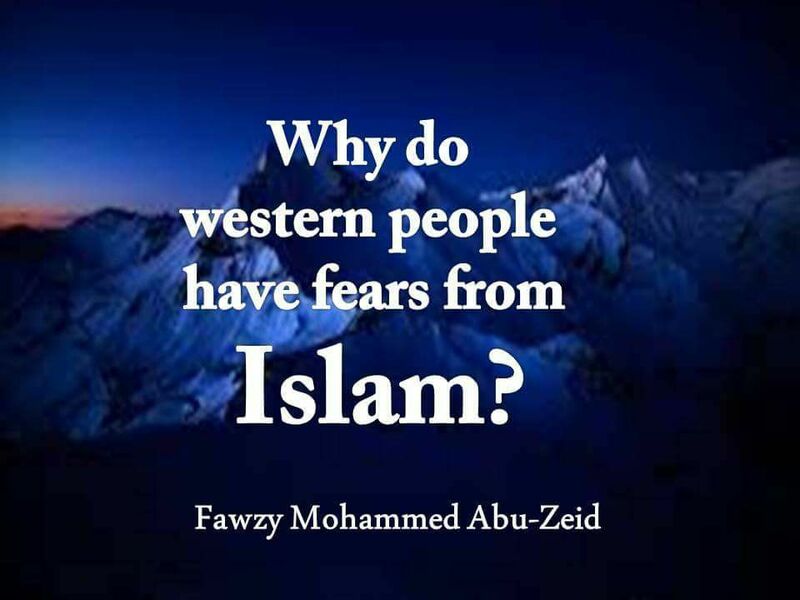 Why do western people have fears from Islam? 1-Western people are fanatic, they think they are the best race in the world and all the other people are less than them in degree and rank, but Islam made people equal in everything. The Prophet (May the blessing and peace of God be upon him), said: " Verily, God took the pre-Islamic boastfulness and pride of ancestors away from you (Muslims), people are either a pious believer or a miserable dissolute, people are Adam's children and Adam was created out of earth"(1) . The Prophet also said about the scale by which people are preferred away from fanaticism for color, race or language: "An Arab never exceeds a non-Arab, a non-Arab never exceeds an Arab, a red man never exceeds a black man, a black man never exceeds a red man except by fearing God" (2). 2-Western people used to be unfair to Islamic communities. They took over their lands, claiming that they only want to construct them, but they robbed them, took the treasures and used them in setting up their own civilization. They also robbed the mineral, agricultural and animal materials and used them for their industry. They were keen on making Muslim countries as salable markets for their products. Because they feel guilty, they have the desire of revenge and they can't be tolerant or forgive people as Muslims do. Thus, they were afraid lest Muslims might have their own culture and take their revenge from them because they oppressed them. 3-Western people valued desires and whims among people so that they can easily control them. However, Islam moderates these desires and recommends having them moderately so that man can be free and honorable enough to behave and do well asking his rights and doing his duties. This will affect the western societies, which were based on anarchy and savagery. 4-With the power of their armies and weapons, western people got very prominent international positions like controlling the Security Council, having the right of veto for their own good, controlling the military and economical markets and the technological and medical services. Western people are so interested in those privileges that they do not want to give them up. They know well that if Muslims have their power, they will deprive them from these privileges because Islam is the religion of equality among people in all rights and duties. (1) It was narrated by At'termezii after Abu Horayrah. (2)It was narrated by Imam Ahmad after Abu Nadhrah.